The cortex of the ovary contains numerous follicles embedded in a thick stroma. Most of the follicles are resting primordial follicles. 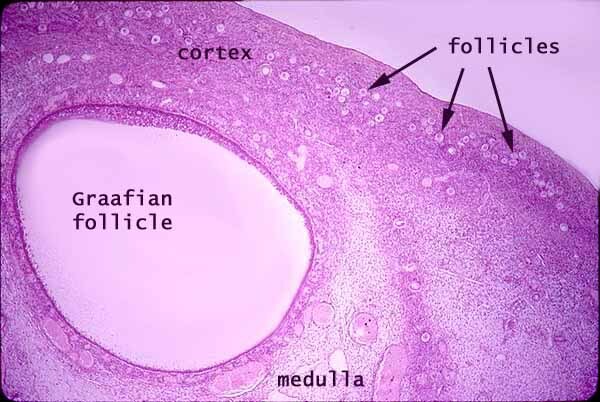 Follicles which have been stimulated to develop progress through primary and secondary stages to become mature tertiary or Graafian follicles.